Manipur's Jajai Singsit's video songs hit million views on YouTube! Manipur’s Jajai Singsit’s video songs hit million views on YouTube! 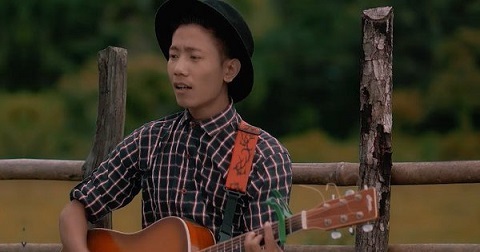 New singing sensation of Manipur Jajai Singsit has taken YouTube by storm with his video songs that have hit million views. Hailing from a small town Lanzing of Manipur, he is the new music sensation of Northeast India. The 25-year-old singer, Singsit, quit school when he was 14 years old and has been working in a garage to support his family of six, including him, his parents and three sisters. The self-taught guitarist and singer had grown up by listening to American singer Jim Reeves. The all-time most popular song ‘Don’t Cry Joni’, a duet, which Singsit has sung with Christina Shakum, another singer from Manipur, has already hit two million views. The original ‘Don’t Cry Joni’ is a duet by Conway Twitty with his then 16-year-old daughter, Joni Lee Jenkins. Joni Lee, according to country music writer Tom Roland, had wanted — after years of resistance — to become an entertainer, and her father decided that allowing her to duet with him on the song (which he had written years earlier) might provide some encouragement. Singer Singsit, who has a rich bassy voice, sings songs of American singers like Jim Reeves, Don Williams and Conway Twitty. He has also been performing live at numerous shows, mostly pairing with female vocalist Christina Shakum. His other video songs like ‘May the Good Lord Bless & Keep You’ and ‘You’re My Best Friend’ have also thousands of views on YouTube. The talented singer is a good example of a star who has achieved name and fame by working hard for himself without any professional music lessons.